I had a wonferful stay at Mercure Jardins. The crew was fantastic. Professional and they are all very kind. Breakfast are delicious! humm.. everything well done. And the hotel is too closed some of the famous Sao Paulo's address. Museums and restaurants and mall and the famous Paulisa Avenue, the heart of Sampa! Very nice location,very good hotel even if some rooms older,frienfly and helpful staff,excellent breakfast, good restaurant at reasonable price compared to some other places in Jardins.I recommend this hotel! The stay was fine, room was clean and operative, breakfast was good. Check out was very friendly and quick, however I was promised that my recept would be emailed to me and I am still waiting for that. Friendly staff, basic but clean rooms and amenities. Didn't have any problems except for the wifi that would go down once in a while. I have stayed at this hotel in the past so I knew it matches my needs interms of location and facilities. Rooms are spacious and comfortable. Bathroom is clean. Breakfast is very good. Internet is reliable. Overall, an excellent experience supported by a helpful team. In an international city I expect people to speak English. That was not the case, made everything a nightmare. 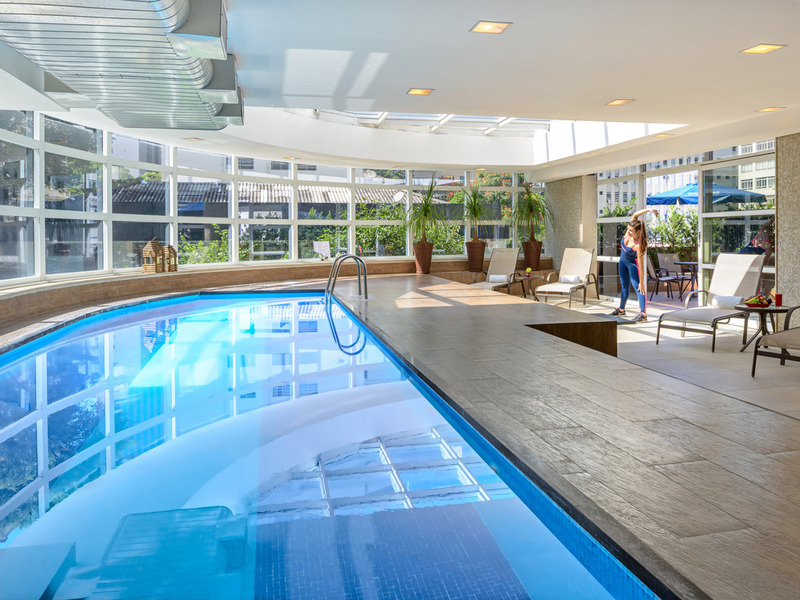 Mercure hotel Jardin was comfortable, relax and friendly in the very heart of São Paulo. Recommended for a great stay and also the fantastic breakfast ! The Hotel is conveniently located. There are nice restaurants and shops at walking distance. Paulista Ave. and subway stations are very close to the hotel. Staff is very polite. This is our 5th time in Brazil. Coming from the USA, We always stay at the Mercure Jardins. It is a very convenient location. The hotel is very clean and up to date. The restaurant has a great menu too. The whole staff from the front desk, Cafe, door man and help is very professional. They are helpful in giving us directions, suggestions, taxi cabs or even translating. Check in and check out is quick. The staff is friendly and they remember us from past years. We enjoy speaking with the staff about our travels and they seem to be interested. This is a nice touch. Please give our thanks to the entire staff. We look forward to seeing them next time we are in town. My stay was just ok. The hotel needs updating. A/C did not work great. Rooms are not outfitted with an iron and ironing board which is a huge inconvenience. I had to call front desk for housekeeping to lend one. There were several occasions when none were available. The hotel is located on a convenient zone for business in São Paulo, near Avenida Paulista (walking distance) and a 15-minute taxi ride to Faria Lima. The hotel needs some renovation. Good location, nice and helpful staff, useful facilities, nice room, convenient and nice stay. There is nothing specific to describe. As a frequent guest at this hotel, everything was well taken care of.